Thanksgiving Day. Any holiday that focuses on giving thanks for all that we have and that revolves around family, friends, food, and football is definitely worth being celebrated fully. This is one of my favorite holidays, and it finds me in a reflective and thankful mood that warms me from head to toe on a cold evening. In addition to my stomach being fully, so, is my heart. While this day is almost over, I know that my gratitude for my life and all of the people who grace it is endless and will be felt each and every day. It was a very happy Thanksgiving indeed! Pecan pie. I have never met a sweet I wouldn’t eat, which is why I will be jumping back on the diet and exercise bandwagon tomorrow! One of my favorite treats is my mom’s homemade pecan pie, and even though she had not planned on making it this year, she ended up doing so today at my request. Okay, it was actually in response to my gnashing of teeth and wringing of hands last night when she informed me that pecan pie was not on this year’s menu, instead of a simple request from me, but it worked. I had a piece of my favorite pie, and it was decadently delicious. It may have added some winter padding to my body, but it was worth every appreciative bite. Thanks, Mom! Connecting with loved ones near and far. 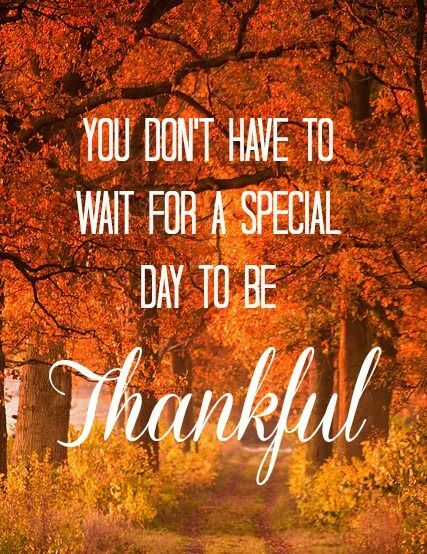 I am so very grateful for the telephone calls, messages, and texts to and from some very special people in my life, as we exchanged Thanksgiving wishes with one another. While I wish that I could have gathered all of these dear souls in one place to share this holiday, these wonderful exchanges kept each of them in the forefront of my mind and close to my heart. These people are among my greatest blessings, so, to be able to thank them for what they bring to my life and for allowing me to be a part of their lives was meaningful to me and I hope to them, as well. Whether or not you celebrated Thanksgiving, I hope that you have a gratitude list that leaves you feeling thankful and loved. I know that my list definitely has! Sounds like a tasty compromise, so, enjoy it! Lovely post! It was a lovely day indeed. Ironic….pecan pie is my fave too! !